Update – Aug 18th, 2015: See my latest hands-on testing of near-final units here in my recent test post with them. 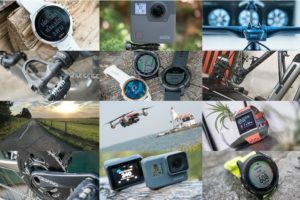 Earlier this morning a relatively unknown company – Watteam – came out of the woodwork and announced an upcoming power meter – PowerBeat. 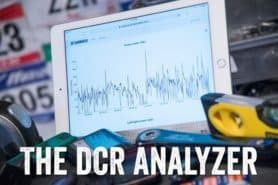 While announcements of power meters this time of year aren’t unheard of, what is causing some ripples in the power meter world is the price point: $499. 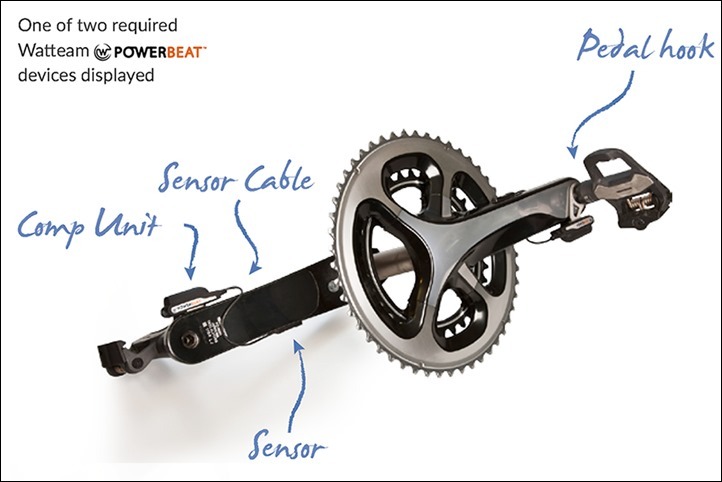 Unlike most offerings however that have dipped lower in price over the last 12-18 months – the PowerBeat measures both left and right power independently on both crank arms and does so at levels on-par with existing power meters. And on top of that it’s neither pedal nor crank-arm specific, meaning that it’s carbon and aluminum friendly. All of these things combined together sorta put it in the ‘Is it real?’ category. In order to do some Mythbusters action on that question I’ve already got an in-person meeting setup with them in less than two weeks, where I’ll go hands-on with the unit on a real-bike. But in the meantime in order to bridge that gap I spent a bit of time with the CEO & Founder of Watteam, Ofir Gal On, via a phone call to walk through some initial questions I had about the product and their plans. To start, the $499 unit price as described above is for both sides, not just one side. There appears to be some confusion from some of the press materials sent out that stated ‘starting at’. 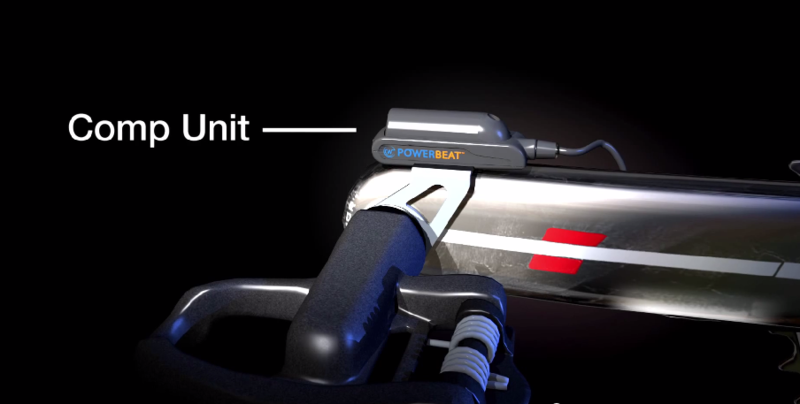 The idea behind the power meter is that the kit includes both sides as a baseline and that the ‘starting at’ referred to the possibility down the road to sell other variants including ones made of lighter materials, as well as the possibility of an included head unit (though again, it’ll work just fine with head units on the market). They don’t at this point have any plans to sell only half the system for half the price. The PowerBeat connects to any ANT+ or Bluetooth Smart bike computer that’s power meter capable. 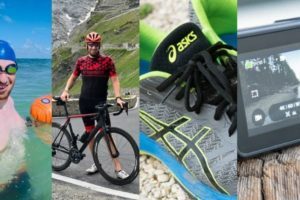 That means it’ll easily connect to your Garmin unit that uses ANT+, but also to Bluetooth Smart enabled units that support the power meter profile, such as the Ambit3 or soon the Polar V800 (or a slew of phone apps). As you can see below, the unit is comprised of a few components. First off is the pod that sits off to the inside of the pedal. This pod is used primarily for communications and the battery, which they are aiming for 300hrs before you need to swap out the coin cell battery. 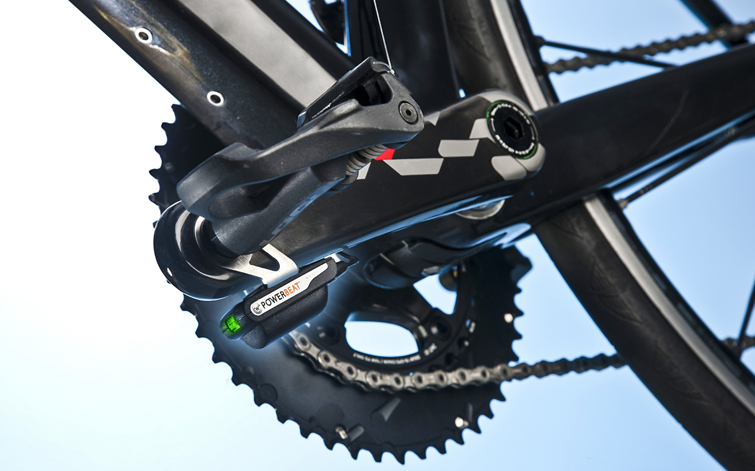 The communications pod then connects via wire to the sensor which is glued onto the crank arm of your bike (one sensor/pod set on each crank arm). The gluing will be performed by yourself following instructions they’ll be providing. It won’t be Elmer’s Glue, but rather an industrial glue that they say will ensure a strong bond. This is notable because competitor Stages uses a similar process, but actually bakes the unit onto the crank-arm to ensure accuracy and stability of readings. Thus it’ll be interesting to see if there are any issues with the DIY gluing process, especially on varied crank arms. At the same time, they also will provide instructions for removing the sensor. They’ve said that they are able to remove it from carbon arms without any visible markings left over. For those with two bikes, they’ll sell separate sensor kits (that’s the piece you glue on), which means you can move the pods between bikes and have the sensors already on them. 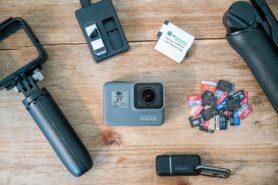 They haven’t quite finalized the price – but they’re aiming for under $50US for a sensor, but it could be a fair bit less. One of the challenges of current power meter implementations is many have compatibility limitations when it comes to components you can install with. For example, Garmin Vector and Brim Brother’s system both specify a certain pedal type. Stages and ROTOR specifies certain crank arms. And most other power meter companies have some form of limitations associated with compatible components. To that end they’ve already noted it’s compatible with both carbon and aluminum arms, and doesn’t have any pedal limitations. So I asked about limitations with respect to crank width (a previous issue with 1st generation Vector units), and he isn’t aware of any issues they’ve seen thus far on crank width. As a follow-on, I asked about clearance issues with the chain (again, an issue on both Garmin and Polar units) and they haven’t seen any problems there yet likely because it sits below the crank arm, rather than on the side. Though, he noted that the pods and associated components will get smaller than they appear now prior to release as they’re still working to minimize that. Additionally, I asked about non-round rings (aka oval rings, aka q-rings) and compatibility there. It’s on their list of items to test and ensure compatibility as he was aware of the issues there with most all other non-hub based power meters producing not-quite-accurate power readings with non-round rings. Based on their algorithms today he believes they won’t need to make changes there, but it’s on their radar to validate. Finally, given the externally attached pod design, some of you may be wondering about ground clearance. He noted that they haven’t seen any issues on road riding yet (which would be consistent with what I hear for Garmin Vector and Polar Power users). However, he does admit that mountain biking does pose a bit of a challenge at the moment. He believes though that as they move towards final pod designs they may be able to mitigate a bit there – but that remains to be seen. 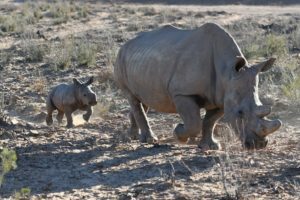 Given where they stand today, they are currently targeting availability in Summer 2015, though Ofir noted that they might be a bit earlier by a few months if things go well. From my perspective it’ll be very interesting to monitor their progress. And more importantly, to test and validate their accuracy and ruggedness claims. There have been many companies that have either almost announced a low-cost power meter, or done so, only to never actually deliver said product at said price point. Historically for companies those dreams have been dashed by the realities of bike distribution (costs associated with profits at each layer of the bike world), as well as the inability to get an accurate product. Every single person in the power meter industry will tell you that it’s easy to get 95% there, but it’s the last 5% of building a commercially available power meter (no matter the price) that spills the most blood for these companies. I do believe however there’s a tremendous market for a sub-$500 power meter that’s accurate (actually, I think $399 is the ultimate power-meter sweet spot). But it has to be accurate, otherwise it’s just decorations on your bike. 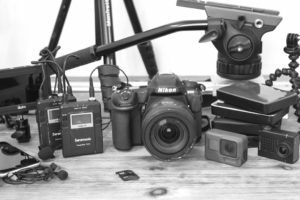 As I noted at the beginning, I’ll dive more deeply into the technology and have more of a hands-on look at how it all works once I meet with them in less than two weeks. But since there’s been so much interest today I wanted to at least provide folks my initial thoughts and provide you all a place to drop questions for me to get answers on – either ahead of time or during the hands-on period. Also note that they do have a video that explains some of the basics as well. Same here… Purchased a barely used set from ebay. I was typing up a tweet to you about this, refreshed the page, and boom you beat me to it. Stuff that doesn’t exist, is always so much better and cheaper than stuff that does exist. I do wonder how they are going to calibrate between the various crank arms. In regards to the non-round ring compatibility and power inflation, if they truly understand the issue, that’s not something that would require testing. Either they assume constant rotational velocity within a pedal cycle or they don’t. It’s that simple. Besides, they need to make sure they test in the proper environment, i.e. with a crank inertia mimicking outdoor riding…so, either on a high inertia trainer like a LeMond, or actually outside. Please find out what accuracy they claim it to have. (e.g. +/-2%) And see if they’ll let you bring your own bike and put it on there so you can do a hands on install and comparison against your existing PMs. Really hope this isn’t smoke and mirrors or a pipe dream. Cost of entry and all the ‘conditions’ various meters have are what keep me away from meters. If they could hit the price point (or the sweet spot you suggest), they would have a goldmine. Why aren’t both pods on the same side of the crank? Maybe the trailing side as that is already where the sensor unit is. Would shorten the wire and make is easy to tape down if you wanted to take it mountain biking. My best guess: the pod should be on the upper side to measure strain. The sensor is on the other side, because that side is less sensitive to e.g. the heel of your shoe making a wrong move and damaging the sensor. Do they have a firmware/version for track riders? I know stages does. Hopefully this will be a somewhat reasonably priced setup, but I would wait for the second or third iteration before buying int. I guess we’ll know in a couple weeks whether it passes the Kickstarter test. Is there one working unit? Does it do what it says? Does it have a prayer of being calibrated for any given crank? FWIW: I love my Stages. And I’m not sure if the subtlety of the Stages (you barely know it’s there) is something I’d trade away for double-leg measurements and $300. MTB Compatible? If so I’m buying a power meter next year (hopefully). The one application for this type of power meter (like the Garmin Vector), is on a tandem bike. A hub won’t do and getting a Stages for the captain’s crank arm is not an option, and I highly doubt Stages is going to come out with one. The price point of this system is much more affordable than the Garmin Vector, especially on a tandem: $1,000 vs $3,000 for two sets. If it works as well as the Stages, which I have on two bikes, then I’ll be getting two. As noted above, I’ll be curious to see how accurate this will be in its final format. A very cool way to test it would be to attach it to an SRM crankset and see how the numbers compare. I’ve heard over and over that SRM power meters are the standard and even pro teams who are sponsored by other power meter companies still use SRM because their data is more accurate. I’ve even heard of a few pro riders who were given power meters from a sponsor, but then contacted SRM and purchased their own! That said, I can’t afford an SRM and at $500, I’d be tempted for sure! Thats only cos they have been training with SRM files and data for the last 10-20 years so they want to use the same templates etc. For the price of one 9000SRM I have 4 9000 Stages. Also I CAN swap the battery vs have to send it back to Germany. Good enough for Team Sky, good enough for me. Ive even got a power meter on my shopping bike now. The biggest factor to be considered here is “Calibration”. It makes sense that if they eliminate the calibration process from production (also let’s not forget that they’re not including any components) that they are able to be bring down the price by so much. I remember reading somewhere that it’s the manual calibration process which really makes PMs the pricey items which they are. The big question we should all be asking is if there’s no calibration done by the manufacture then who’s ensuring accuracy? Possibly the answer is that in fact there is no calibration and that will result in the PM having an accuracy of say +/- 10 watts. This wouldn’t mean this product will be a failure only that it’ll be targeting a different market, one of folks who aren’t ready to dash out 800 bucks for a PM yet at the same time don’t mind the 20 watt range of accuracy as it’s is good enough a reference for the type of training which they’re doing. In regards to material variations, which can have the biggest impact on wattage readings, what I suspect they might be doing is setting up profiles for different crank arms based on their own testings and the user sets the appropriate profile for his crank arm in the firmware. This is just and idea which occurred to me. We’d need some engineers to confirm the possibility of such a concept. This would mean that the real test for this product would include a self installation and compare the readings to other, reputable PMs. What makes me slightly dubious about this solution is that the user has to bond the sensor to the crank themselves with glue. That seems prone to error and on a crank arm that is anything less that absolutely brand new, there will be contamination on the crank arm that will interfere with the bond. Stages does not allow users to apply the sensor to the crank arm by themselves for this very reason. Was coming to say the same. 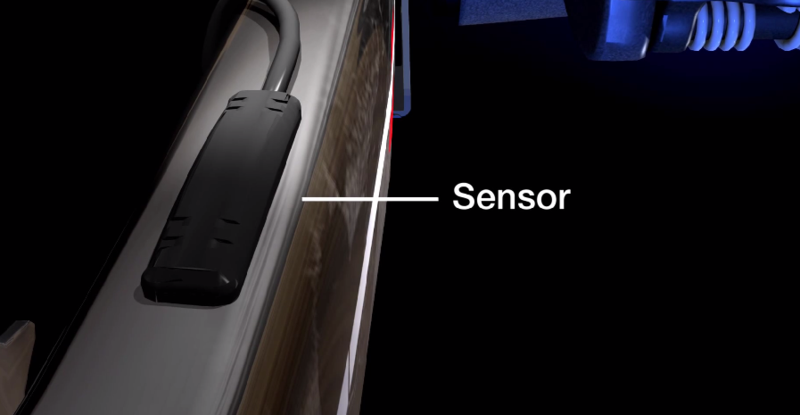 I think the biggest issue is getting a sensor that sticks to the arm, especially after sessions and sessions of use in various dirty or wet conditions, assuming it isn’t contaminated at the outset. I don’t think they are setting up profiles for different crank arms. That is what Stages is doing. The reason Stages doesn’t work correctly with carbon crank arms is that the layup is slightly different in each carbon crank and this affects deflection. I really am wondering how this power meter solves this issue. I am very skeptical this thing isn’t vaporware at this point. Alex, interesting thought. At the pricepoint they announced, they could be selling tons of them just to users of alloy cranks – which is basically everything up to mid-tier and mid-high end of the market. I’d say that consistency would be key more than accuracy at the +/- 10w level. Much like your bathroom scale, you don’t necessarily care if it’s 100% accurate as much as if it’s consistent. After your first few FTP tests you should be set to your data, and I’d think your workouts should be calibrated to improve that value. So if my 200w target for climbing is actually 190, it’s not a huge deal after I start training to improve. If my 200w target is 210w for half the effort and 190w for the the rest, then it wouldn’t be as effective. I’m looking forward to seeing the pre-production review. It makes me wonder if Stages will fire back with a $500 price point for the holiday season as a preemptive measure. If so, even more happy birthday to me! Agreed Brian, although going by the numbers Ray published in the past, I’m tempted to say 10W would actually be pretty great. The difference is usually explained away as a combination of error + different location of the strain gauge, but it’s often big enough to make me wonder: it’s not uncommon to see some ‘upstream’ PM posting numbers close to those of the PowerTap. Thanks for posting. Currently only have Wahoo Kickr as a power meter and would like one for racing and outdoor training on my bikes. as I understand them power meters are still a bit individual ,as well as your numbers, so what would be the problem if a rider with Bio-Pace (oval) rings was off, unless they have a second bike with round rings ? most riders don’t have a smooth stroke anyhow, but the data collected would still be relative to only them sort of a N+1 thing.. or am I missing something since I am a round-ring not yet a power meter user ? ? BTW please Thank them for using ANT+ and Bluetooth and not some sort of “you need our head unit” foolishness..
I’d rather have a proprietary head unit if it meant better data. Forcing one into ANT+ tends to compromise power data integrity. Be interested to know what a user-glued strain gauge on all sorts of crank arms with different properties will mean for accuracy claims. I think Shlomo’s points are well taken. The idea of a power meter that is calibrated generically to a specific manufacturer’s model (Shimano Ultegra, SRAM X0, …) with a +/- 10 watt variation may be just fine for many folks. Is a vague PM better than none? A reasonable question for sure. As John R. points out, it may be sufficient to see how one’s efforts compare simply to their previous efforts. High performance, professional athletes need precise, consistent data to drive their training, and those on teams will likely need that kind of data for comparison… the rest of us may not need that. The comments (and DC) are off course right in the fact that things that exists are better then things that don’t, but for me the current power meters might as well not exists because of their pricing. Most of the existing meters, even Stages, cost about 50% to 110% of the value of my entire bike and in that regard it makes no sense to fit on a single item that is so expensive compared to the rest of the kit. Yes you may say that I have a “cheap” bike, but it’s actually the most expensive bike I have ever purchased and adding a powermeter to that cost, at least this season, is out of the question. A 499$ powermeter would absolutely change this and make it more viable for me, and plenty of others, to get a powermeter. 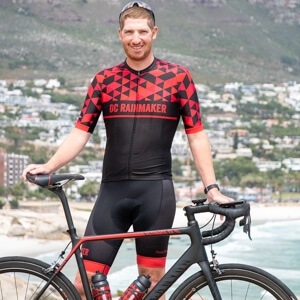 No I don’t think you have a cheap bike, rather most cyclists are overspending for what are very marginal gains at best, and possibly none – but that’s another matter. If we’re discussing +/-10% accuracy, then by all means a $99 cycleops HRM/PM beats everything hands down. In fact, I think the entire PM is a conspiracy and the little gizmos just spit out “reasonable” numbers based on speed, slope, acceleration. Been happy with my chest strap PM for over a year; rivals any PM graph on the market. I do have a 4 yr old power tap that I use on occasion for comparison, and although there is a lag time with chest strap, data are within 5% of each other. Some French pros use the ibike newton and say the results are good enough for training. Of course no Frenchman has won the tour de france since Hinault either :-). The main problem with the PowerCal is accuracy breaks down when the effort is shorter than some. This thing, were it to work as advertised, would not have that problem. I think you are right – anyone that makes accurate, transferrable power for $399 will be printing money, especially with the bike market in overdrive as it is. Even at $499 they will still clean up…. wish I knew about electronics! then it will have a huge impact in the PM world. but there is still a voice in my head saying: it sounds too good to be true. If it works all out: I will be buying one as soon as possible. If it does everything they claim it will be amazing. Any idea when (and where) I can buy one? Summer 2015 is the slated date, perhaps “a few months earlier” if things all go well. Basically I’ll expect this to ship in 2016. I’ll believe it when I see it. As everyone here, I’d love for it to really work, and work well. Would finally drive PM prices down from the stratosphere. But relying on the end user to bond the strain gauges themselves is simply not going to work. And how did they solve the issues with measuring deflection of carbon cranks when Stages have failed miserably? It sounds very interesting, but i see also some problems at the calibration. Stages could not support carbon crank arms at the moment, because the distorsion of carbon is complete different in comparsion with aluminium crank arms. 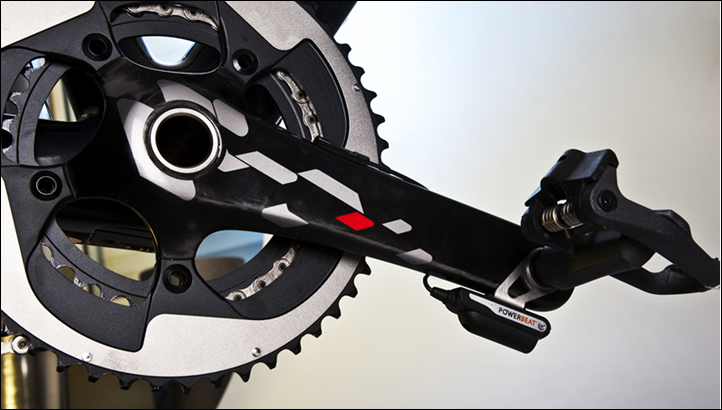 One system for all crank arms without individual calibration will be the “holy grail”. Maybe it is possible, if the don´t measure the distorsion of the crank arm, but rather the distorsion of a sublayer in the sensor. But at the moment i´m sceptic. Curious how the Watteam works. I have a quarq, envy the simplicity of the Stages and the progression of the Power2Max devices but I’m skeptical on the delivery of the Watteam only because the combination of features (broad crank compatibility, home install, breakthrough price and accuracy) seems seems ambitious. My guess is something has to give. I shall wait for your review. First it is good to hear someone claiming not to know, and to need further testing of their product. One could optimistically guess, yet as my engineering professors used to say, it is better to design than divine. 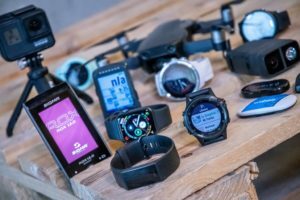 On accuracy, it is pretty easy to cross validate with the number of devices on the market, which competitors will surely do – it either will work or won’t. With respect to accuracy on different cranks, I wouldn’t mind a set up that requires a trip to the LBS for the initial calibration, and possibly an annual check up. Implying there would be the ability to grainularly tweak read out curves via a software setting for a specific crank and condition. Scott, you might have touched on something huge with your LBS visit Idea. This might be the game-changing secret here and the answer to the mysterious and most glaring question regarding calibrating the unit after installation. So to speculate, they will have agreements with all of their retailers (LBS’) to offer calibration once the user has installed their unit on the bike. So the customer installs the unit on his own, then comes to his LBS and mounts his bike to a PowerBeat trainer which has it’s own power meter which syncs to the PowerBeat on the bike via Ant+ or Bluetooth and after some pedaling for a few minutes (perhaps with specific maneuvers) boom! it’s all calibrated. With this idea, we do not have to resort to assume that the only option here is having quite an inaccurate PM as I’ve suggested in a previous comment, although it likely still won’t be up to par with others. Anyone have any thoughts on this idea? Ray? It could go both ways. You’ll remember for a time CycleOps worked with LBS’s on trying to calibrate PowerCal units. That required a trainer and/or power meter though, and some knowledge. Never quite worked out and was ultimately dropped. A similar parallel is trainers. Even when trainer companies provide a massive discount (50-75%) to LBS’s to have a trainer in the show room, the vast majority of LBS’s won’t do it. Ultimately, I’d like to hear PowerBeat out as far as calibration goes. They’ve said there will be a calibration process. I’ll be asking for some visible demonstration of that so I (and by extension everyone else) can understand it better. The core are in my head for calibration will be the different materials and how they react from a torque standpoint, along with installation differences. Again, I’ll give them their ‘day in court’ to prove it in person. I won’t be an early adopter, but this is still really exciting. If it turns out to be pretty accurate, I will definitely buy this. I could also see this, if it’s successful, being a real motivation for the other companies to start bringing prices down. After all, technology always seems to drop in price once the market gets established. I’d be interested to find out when they’re targeting a release. Currently have carbon cranks and speedplay pedals, so looking at a PowerTap – something like this would be a very interesting option. I’d even accept dropping from 2% variance to 5% for a simple <$500 solution. As noted, Summer 2015, or a few months earlier if they luck out. If you’re a speedplay user, Brim Brothers say their “Zone” cleat-based power-meter for Speedplay pedals should be launching at Interbike this year. This reads like the playbook for a bad future Kickstarter/Indiegogo, complete with hokey Youtube video. As others have pointed out, there seem to be some glaring accuracy, calibration and materials physics issues here. I also predict some problems with coming up against some of the claims in Stages pending patent. I was very surprised when I read about carbon crankarms. PMs measure deformation, and because in a crystaline material (like metals) there is a linear relationship between stress and strain (Hooke’s Law), you can derive stress, and then force, and power (knowing cadence). Carbon doesn’t have a linear relationship, so I’m at loss on how stress is measured. Carbon components manufacturing process (layering) makes things worse. Sounds very exciting, just skeptical at this point. Agree with the observations on Carbon deformation. That said, there would be a case for predetermined profiles representing different crank sets. Of course that would be a more sophisticated device than what appears to be proposed here. You can mount a strain gauge on anything and get a result. The trick is in doing something with the data that results in an universally accepted unit of measure. That said, for the price point I’d take a 98.5% solution knowing that 100% will come at a higher cost – you get what you pay for so to speak. Plus it goes back to what the market will bare. Success may very well be 50% of the market at a 98.5% solution. As newer novice users you have to start somewhere. Are the stages worth it? That’s sort of a loaded question, and the answer depends fully on your needs. Hopefully at the very least this will help to drive prices down. I really feel like the Stages power meter should be at this price point as well. What would one speculate as the problem here? Ground clearance? Why would that be an issue. If you look where the device is mounted it’s not like it would be hit from a pedal strike to a rock in a corner or something. If you are hitting that part of your crank while mtb’ing you should probably give up. Very curious about this being an option for CX/Mtb’ing. Srm’s are too $$$$ for mtb’ing. Love my quarq for road, but it would be really nice to see what kind of NP i am pushing when mtb racing. @ 500.00 that is. The wires are one obvious issue. Mud and dirt would surely rip the wires off if not sealed against the crank. The comment was in the context of ground clearance. I actually see wires as less of an issue, since those can be covered with some form of high-staying power tape pretty easily. I’m curious to know if this set up would work on a set of Powercranks with the independent crank arms. If this is true, eventually they will have to drop the DIY installation IMO. It sounds about like something *I* would do, but Ray taught me, there’s plenty of people who still can’t tell left from right, and they would end up with the sensors glued to their foreheads and buttocks and wondering why their balance seems a little off. I can only imagine what this would translate to in terms of support cost, especially in the US. BTW anyone’s figured out why they show the sensor mounted on the other side of the crank arm VS the transmitter? Ideally you’d want the cable run to be as short and with as little bends as possible to minimize the chance of it getting stuck into something – thus I’d argue: on the same side. Clearly something’s escaping me. Can’t wait to see the side by side comparison with Powertap and SRM. The use on carbon crankarms is interesting. The only way I can envision accuracy for a DIY glue job on carbon of the strain gauges is if the user then performs a calibration using multiple masses of hanging weights. I’m pretty skeptical about Watteam’s power meter, but it is going to be huge if it works! Ray, I would love to read a review of the full installation and calibration of their power meter. Every other power meter already uses strain gauges, but the installation and calibration are done at the factory. Watteam’s difference appears to be having the end user take over the expensive installation and calibration. To be honest, some squiggly power curves that roughly match an SRM’s output wouldn’t convince me of anything unless it was done with a unit that was installed and calibrated by you! will be interesting to see price pressure for other PMs. I know a company has got to make money and has R&D costs but a Stages PM must surely only cost $10 or less to manufacture. Selling these under the $500, I could imagine the Stages offices would look like the scene from Scarface with all the money counters and suitcases stuffed with cash going of to be laundered in the bahamas. I will be at the Freidrechshafen Trade show later this month so will be looking forward to see what prices will be. I completely agree with your pricing and I do not fault them for making money. Furthermore, all credit to Stages for bringing out a very well priced product into a very ( I fell ) overpriced market. Though, a mail-in crank-arm service would be a good idea and bring their costs down whilst creating employment for more people to do the work. I’m just saying at an even better price point, say $499, I feel their profits would increase. Furthermore, what do you think, could Stages squeze in a right hand side sensor/transmitter between the arm and chainrings, for me it looks like there is enough space. Surely with the Sky collaboraion they will be working on new products. No doubt Stages sales would increase at a lower price point (unknown on profits). But, they’re backordered these days more than they can handle, and since WattTeam’s unit wouldn’t be out till next summer, there’s no reason they’d lower prices now unless something else hit the market at a lower price point. As for squeezing in the other side, Stages said in the past that would actually increase prices non-proportionally, because the drive-side crankarm is more expensive than the non-drive side. Additionally, there are more clearance issues there (chain as well). Not saying they won’t do that, but just saying it’s not quite as straight forward. If they keep the pods where they are, these things are toast the first time you go over a tall speed bump and forget to keep your crank arms level. It will happen. Unless you’re routinely smashing your crankarms into those speedbumps, I really don’t see how that can happen. Just tape a small box or something like that to your crankarm, and see for yourself. I’d agree with NoFish. 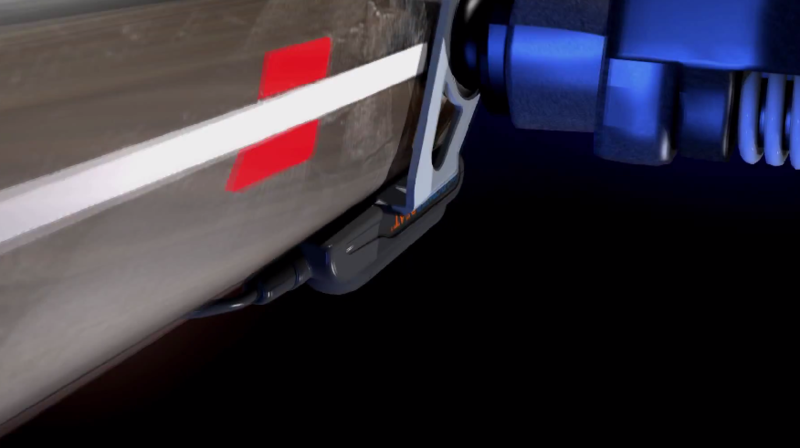 If Vector taught us anything, it’s that rotationally speaking it’s really darn difficult to hit those pods while riding. I still don’t think I’ve heard of anyone breaking the pods while riding (breaking while installing, sure, though I think the updated pod design alleviates most of that now). Two weeks has gone, any news from your meeting with them? I meet with them next week. Really looking forward to this one 🙂 Hopefully there’s some real “there” there. I don’t know about these things I admit, but what Chris says in reply #39 sounds like it might work: not measure the strain of the carbon crank but of a metal plate inside the strain gauge itself. Since it is glued on you ‘just’ measure the strain in that and then unleash a few smart algorithms on the measurement. Another thought I had was that if the pod is only used for collecting and sending data, its position is not all that important and you could probably move it to the ‘inside’ of the crank arm and use some other way to keep it there than the not-so-good looking metal thingy they provide. But they also say the ultimate design may look different anyway. It sits slightly out of pedal kicking range, somewhat similar to Vector. No issues there. Excellent. I might be an early adopter then. Thanks DCR! Any update on the power beat meter mate?, as I also really want PM. I have zed cranks, and do not really want to replace them. Nothing new. But they were pretty much going to work away during the winter, so I don’t much expect to hear from them until spring. its not going to be there ? Just wondering has the product been tested with V800 as it should now support power meters… ? It’s honestly too soon to tell there, until they release the product I’d be hard pressed to say they will know. Mostly since Polar has been working to sort out 3rd party compatibility issues. We’re working on scheduling something now for the end of the month (trial).